Mini Heroes under 8 must be accompanied by a parent or guardian who will be responsible for that child for the duration of the event. Mini Heroes 8+ can run unaccompanied. 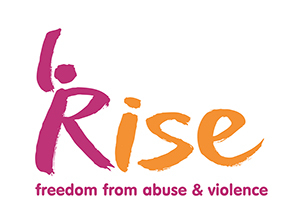 Your entry fee helps cover the cost of the event, so please consider fundraising for RISE to help us support families who have been affected by domestic abuse. A fundraising target of £50 will make a huge difference to us, but of course we are grateful for every penny! Even if you're not taking part in HEROES RUN 2019 you can still do your bit for charity by making a donation. The HEROES RUN is a unique Brighton-based fancy-dress fun-run for the whole family - with distances to suit adults and children, novices and experienced runners. Join hundreds of other superheroes for this fun race along the iconic Hove seafront and raise money for domestic abuse charity RISE. We'll support you every step of the way, with costume ideas, fundraising tips and training plans. So what are you waiting for - dust off your cape and register today!